What a cute book! I’ve lived in the Twin Cities my whole life so when I was reading through the book and they were mentioning streets and landmarks I could instantly picture where Santa and his reindeer where. 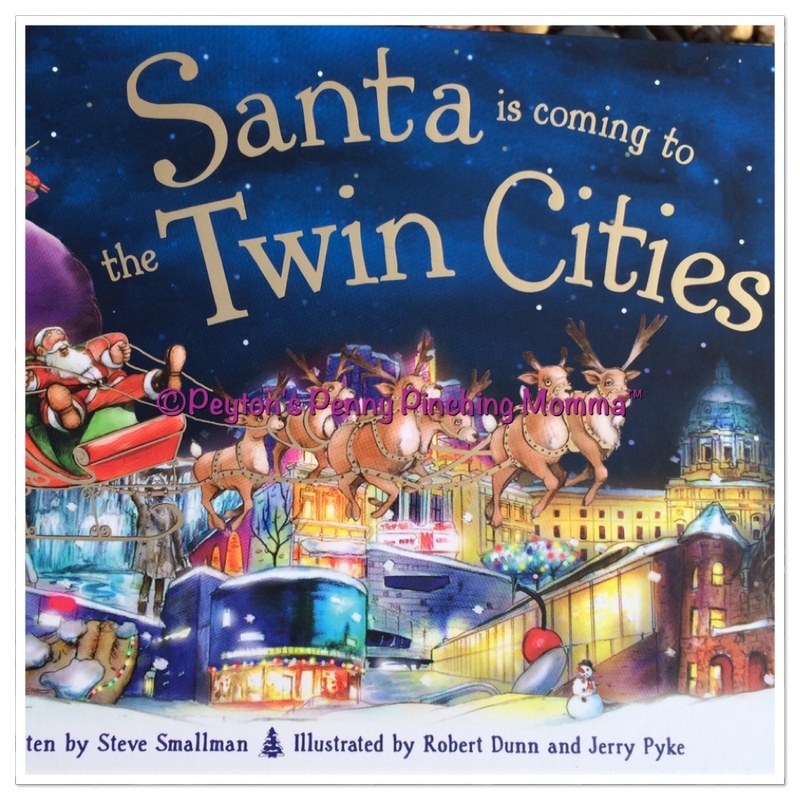 Santa is Coming to the Twin Cities is a book about Santa and his reindeer’s travels on Christmas Eve night. They start out at the North Pole where Santa and the elves are busy checking the list and checking it twice to make sure all the children’s of the Twin Cities have been good boys and girls. They load up the sleigh with all the presents and then look around to make sure all the reindeer are ready. But one reindeer is missing! So Santa and elves start looking for the youngest reindeer. And when they find him, he’s munching on some crunchy carrots! After the elves get all the reindeer situated and ready to go Santa plugs the destination into his GPS and off they go. They travel through the night sky on their way to the children of the Twin Cities when all of a sudden a snow storm appears!No need to worry, the reindeer know what to do. I thought Santa is Coming to the Twin Cities is a great book for any child that lives around here and even for children that do not. As Santa is flying through the night sky, delivering present they mention some of the most popular buildings, historic neighborhoods, several of the suburbs and even landmarks of the area. My daughter recognized several of the areas mentioned in the book. She thought it was pretty neat that Santa was just a few towns over delivering presents. If you live in the Twin Cities and are wondering where you can pick up a copy, well I found mine at the local Sam’s Club. It’s also available on Amazon.